Our company holds vast experience in this domain and is involved in offering Alloy Steel Pulley Block. M. S. Lifting Tools & Tackles was established in the year of 2004 as a Sole Proprietorship (Individual) based company. We have settled the main headquarter of our organization at Prakasam Road, Chennai, Tamil Nadu, from where we are handling all our work-related operations. 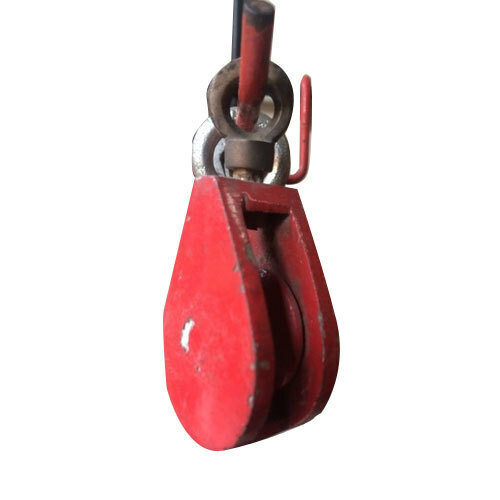 With our vast understanding and immense knowledge of this sphere, we are involved in manufacturing and wholesale trading a wide spectrum of Rescue Accessories, Scaffolding Fitting, Metal Fastener, Lifting Tackle and many more. Before the final disperse of these products, our specialized strictly inspect each and every product on numerous parameters. In addition to this, our efficient logistic team is assisting us in offering a safe and convenient shipment of these products.